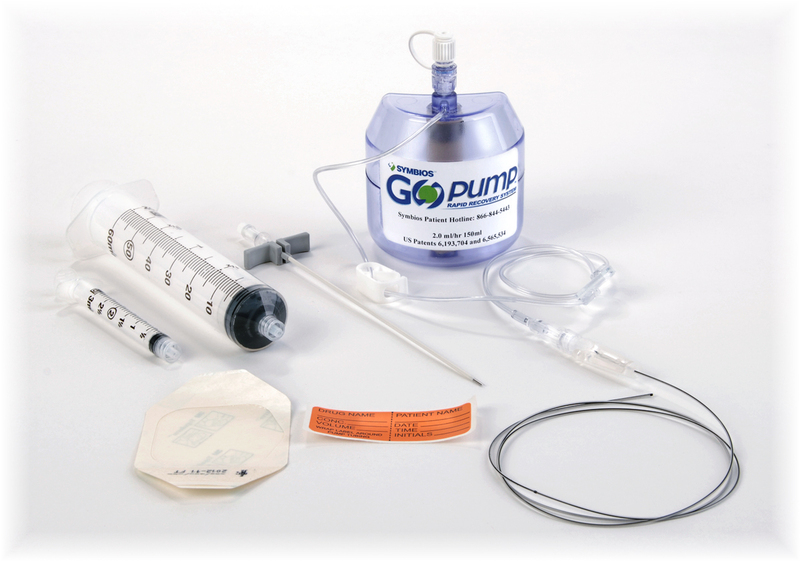 The U.S. Food and Drug Administration reports that pain management pumps manufactured by Symbios before July 2012 are being recalled due to a faulty medication delivery system. The pumps were distributed by B. Braun Medical between April 27, 2011 to April 30, 2013. The Symbios GOPump Rapid Recovery System is a disposable local pain management system that consists of a small balloon that is inflated with a local anesthetic medication. The medication is delivered slowly through tubes from the balloon to the surgical site. The faulty pump has an excessively high flow rate, causing medications to be delivered too quickly, putting patients at risk for toxicity. Higher than normal doses of an anesthetic medication delivered by the pump can lead to serious illness including seizure, abnormal heart rhythms, and death. Patients with low body mass and the elderly are particularly at risk. As of May 10, 2013, there have been 5 complaints received, 2 of which involved serious consequences. One report, found on the FDA website, says a female patient had a seizure, went into shock, and coded (went into cardiopulmonary arrest) after the medication in her GOPump completely emptied into her body overnight. She was admitted into the intensive care unit and was on a ventilator. Fortunately, the woman survived. If you or a loved-one have suffered serious complications following the insertion of a GOPump, and would like to know if you are eligible to file a personal injury lawsuit, please call the office of Olsman, Mueller, Wallace & MacKenzie.